1. Present yourself powerfully and project a million-dollar image. 2. Learn correct rules of etiquette for hand shaking, introductions, and business dress. 3. Toot your own horn and quickly communicate your value to others. 5. Show the window to your soul through your face. 6. Avoiding using the five vocal turnoffs when you speak. Increase your perceived value to your customers through these powerful self-presentation and self-promotion secrets! In thirty minutes, you'll find out how to create instant rapport and connection to others. 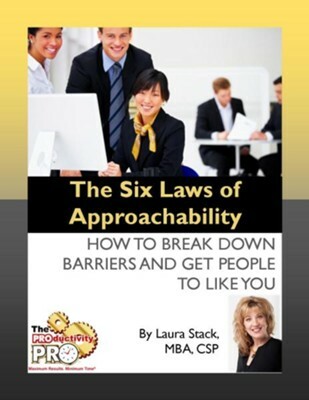 I'm the author/artist and I want to review The Six Laws of Approachability: How to Break Down Barriers and Get People to Like You - eBook.